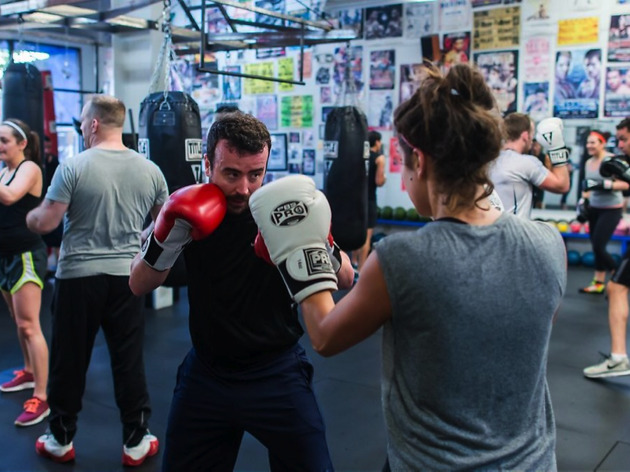 This no-nonsense boxing gym offers beginner classes along with their regular training, plus TRX, circuit work and intense 4-week boot camp sessions. If you’re into boxing, there is no better place to go then the Polk Street Gym. This no-nonsense spot, with a ring smack in the center of the space, is for serious boxers. They do offer beginners classes, so don’t be intimidated if you don’t know the basics. We recommend the special $70 4-class introductory package, where you’ll learn the difference between a hook and a right cross. Note that you’ll need to wrap your hands and wear boxing gloves—you’ll feel more badass immediately. The Polk Street Gym also offers TRX, circuit training and extreme 4-week boot camp sessions. There are several types of memberships that range in price from $99 to $200, but if you’re just curious, a single class is $25.